We value the recognition we receive from the partners we work with. We believe that obtaining (and maintaining!) certification illustrates our commitment to our clients and ensures that we are delivering solutions as intended by our partners. Needless to say, keeping up to date with innovation is a must in the business we are in. 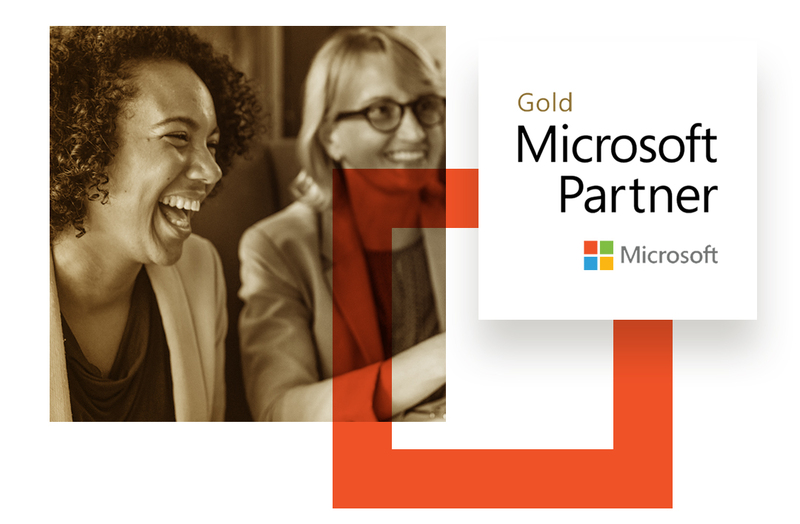 This is why we are very proud today to announce that we officially entered the elite of the Microsoft Gold Partners. In my early days in Arekibo I was a strong promoter of Microsoft's Partner program. After sitting my first exam in 2007, I quickly realised how the preparation required to succeed in the exams gave me both the know-how and confidence to solve numerous challenges I would face delivering projects. It was also immediately clear to the entire team that being certified was a huge advantage to the business. In 2008 we committed to becoming part of the Microsoft Partner Network and became Silver Partners across a number of disciplines, a status we have maintained ever since. Fast forward a few years and, suddenly, The Cloud is a 'big thing': everybody is talking about it and are beginning to explore its possibilities. When Microsoft initially entered this business - notably later than their competitors - we decided to investigate what Azure could do for us, but it still felt a bit too experimental to be used in production for our taste. We kept monitoring Microsoft's (impressive) progress on Azure until three years ago or so we decided that the technology was ripe enough to be adopted and implemented in production environments without risks. In the past 2 years, we began to incorporate Azure into our solutions and we haven't looked back since. Azure's ever-expanding array of services and solutions is a perfect fit for our culture and it works like a charm. So much, in fact, that we have commenced a programme to migrate all our hosting tenancies and services onto Azure. We have also grown our Azure suite and are delivering and managing services for numerous clients. Becoming a Gold Partner is a lengthy process. The requirements include having our team trained to a very high technical standards and meeting specific revenue targets over a 12- month period. After working side by side with Microsoft on a number of projects in the past 18 months, we began to build our team and increase our annual revenue targets. This week the long-awaited email arrived "Congratulations on qualifying for Gold Cloud Platform competency!". This is a result we are very proud of, and the numbers show that this has been a team effort: the sales, management, dev and devops teams played their part and made this possible (thank you folks!). If you are interested in having a chat with us about how we can help you plan and adopt Azure into your business, please feel free to contact us. Matteo is a certified Azure Cloud & SQL Server specialist. He has worked in Arekibo for over 10 years and is Head of Cloud Hosting Solutions at Arekibo.